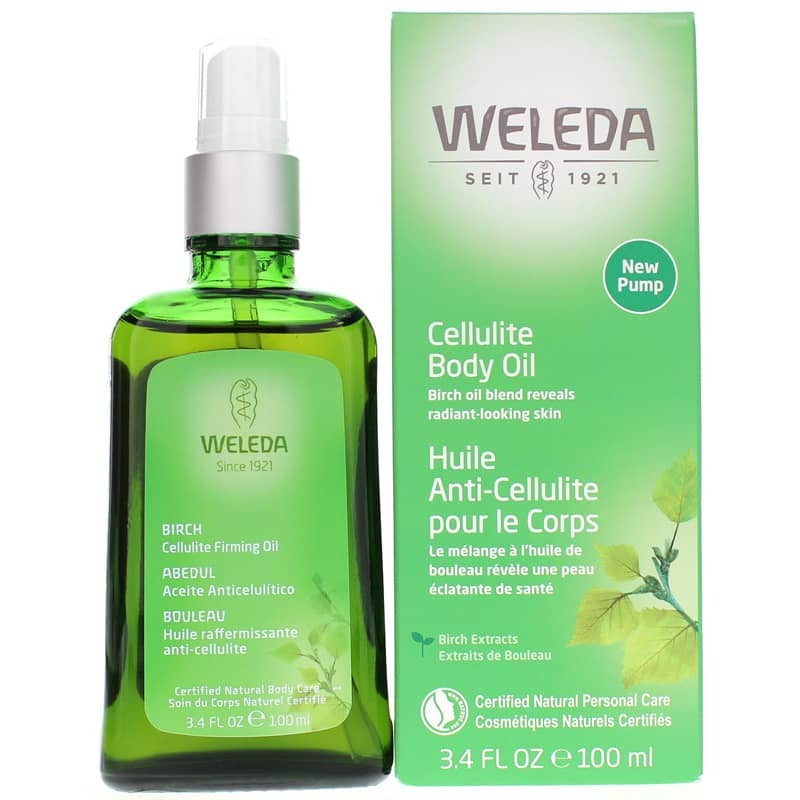 Cellulite Body Oil from Weleda is a Birch Oil Blend that helps reveal skin that appears smooth and supple through daily massage. Regular massage helps skin to feel smooth, toned and firm and reduces the appearance of cellulite. free from synthetic preservatives, fragrances, colorants and mineral oils. 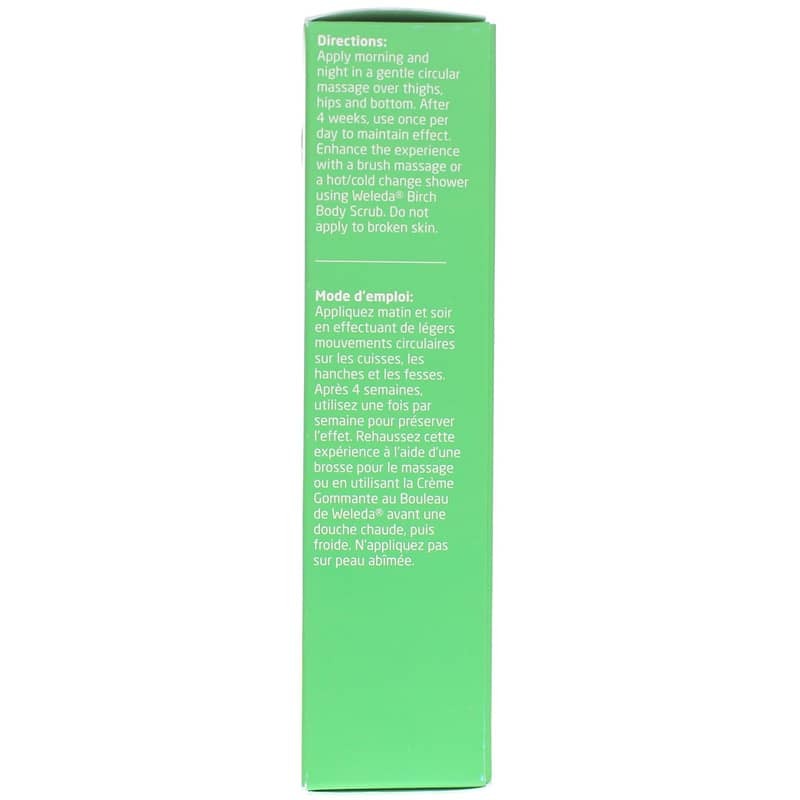 Prunus Armeniaca (Apricot) Kernel Oil, Simmondsia Chinensis (Jojoba) Seed Oil, Triticum Vulgare (Wheat) Germ Oil, Fragrance (Parfum)*, Betula Alba (Birch) Leaf Extract, Limonene*, Ruscus Aculeatus (Butcher's Broom) Root Extract, Rosmarinus Officinalis (Rosemary) Leaf Extract, Linalool*, Citronellol*, Geraniol*, Citral*. 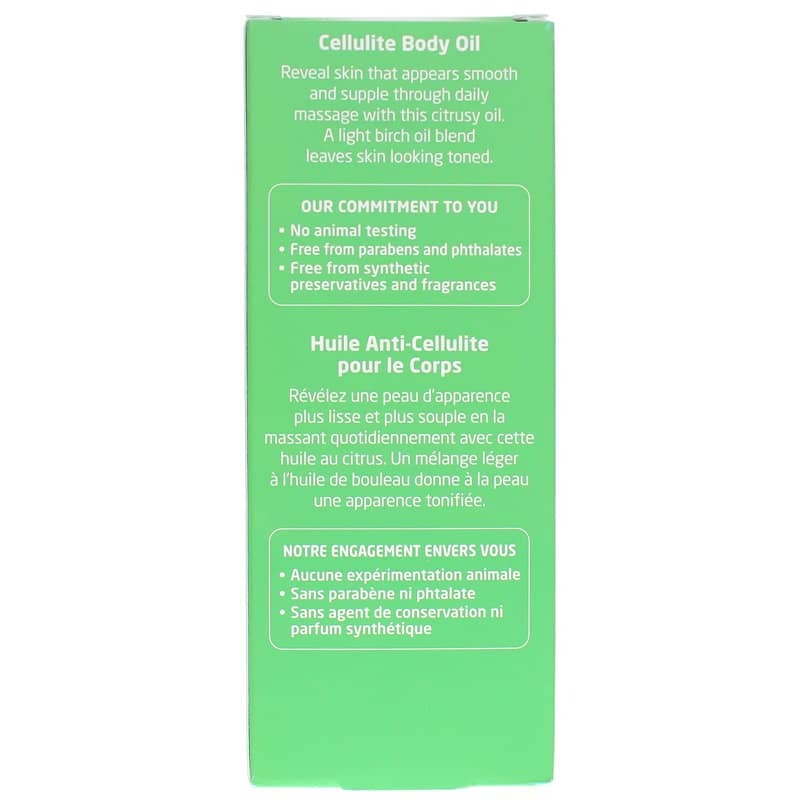 Apply morning and night in a gentle circular massage over thighs, hips and bottom. After 4 weeks, use once per day to maintain effect. 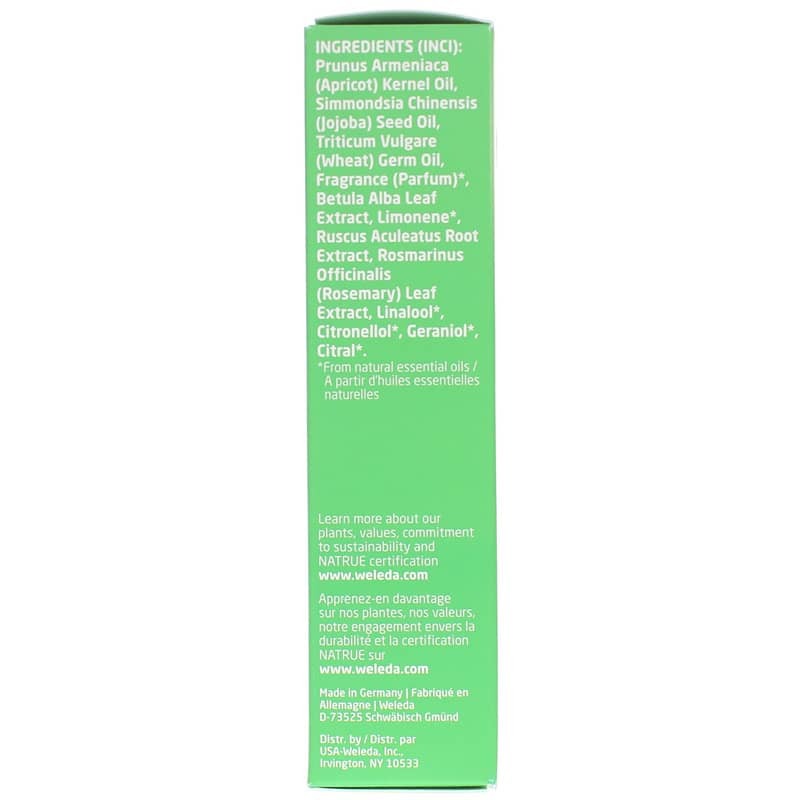 Enhance experience with a brush massage or a hot/cold change shower using Weleda Birch Body Scrub. Do not use on broken skin. For external use only. Avoid contact with eyes. Keep out of the reach of children.